Vinessa Antoine, who joined the cast of General Hospital in 2014 as Jordan Ashford, is leaving the show as she prepares to take on the historic lead role in the upcoming Canadian drama Diggstown. On Instagram, she wrote, "There are so many people that God put into place who are directly and indirectly responsible for my time at @generalhospitalabc You know who you are. I thank you. I came into this world as an artist. My job is to create and inspire. I hope that I did that a little in playing #JordanAshford. I believe that I have taken her as far as I can. To clarify, as negotiations for #Diggstown were underway, although I am open to stay and play in Port Charles, I was told by my reps that @GeneralHospital felt that my character would be off the canvas for too long for me to continue playing her. With that, we decided to mutually part ways. It’s time to make room for more women of color in prominent roles on television. I’m grateful to assist in that by starting this new chapter in my journey. I hope you’ll all come along. I feel blessed. Be well. xo"
Antoine will make history as the first black Canadian actress to star in a prime time drama on legacy network television, according to public broadcaster CBC. 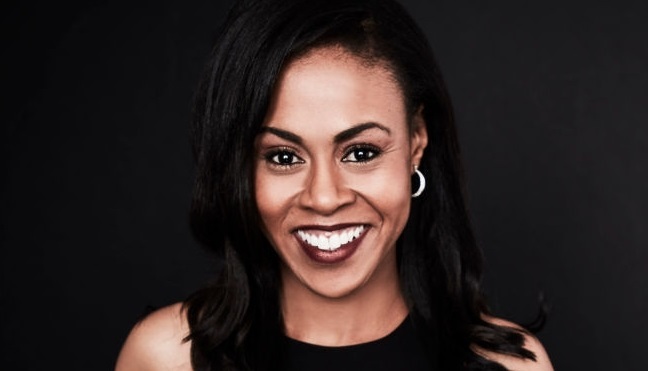 In Diggstown, scheduled to air in the key CBC fall and winter season, Antoine will play Marcie Diggs, a top corporate lawyer who decides to dedicate herself to a legal aid office in Dartmouth, Nova Scotia.